Goods are not to be shipped unless they are of quality. If quality standards are not maintained, exporter's image gets ruined and further chances of export orders come to a virtual close. Normally, quality brings repeat orders to the exporters and so exporters should not take the slightest chance in respect of goods exported outside the country. Even the image of the country would be at stake and so the Government has taken several measures to maintain high standard of quality in respect of exports. One of the important measures taken by the Government to maintain stringent quality, Export (Quality Control and Inspection) Act, 1963 has been passed. The Act empowers to bring any commodity within its purview. Once notification is made in respect of any commodity under this Act, that commodity can not be exported unless a certificate of export-worthiness is obtained from the Export Inspection Council (EIC) or any other approved authority, authorised in this matter. The Indian Customs authorities require the inspection certificate issued by the designated agency before permitting the goods for shipment. In respect of consignment-wise inspection, before the excise authorities seal the packs, the process of pre-shipment inspection must be completed. Once production is completed, production department should submit an application to the prescribed agency on the prescribed form known as 'Notice of Inspection' with the following documents. (iv) Demand draft covering the prescribed fee. After inspection, the Export Inspection Agency gives the Certificate of Inspection, in triplicate. 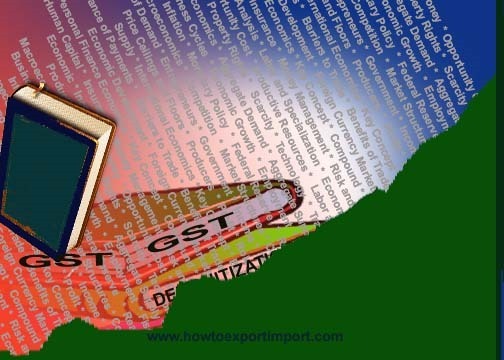 Exporter has to submit the original certificate to the customs authorities for granting approval for shipment of goods. Second copy is sent to the importer along with the documents and the third copy is retained by the exporter for his record. In respect of those industries which have continuous processing activity and established in-process quality control infrastructure and checks, they can submit their request application to Export Inspection Agency for recognition as Export Worthy Units or Adequacy of IPQC Units. After inspection of the facilities and procedures followed for quality control by a panel of expers appointed by EIA, the manufacturing units are given the approval. After completion of production, the export worthy unit conducts its own inspection and gives a declaration about the quality control. Based on the declaration of the unit, EIA gives the certificate of quality inspection. EIA does not make any separate inspection. ETA makes periodical review of the working of the units and makes suggestions for improvement. Under the system of Self Certification System, the manufacturing units which have proven record of maintenance of quality can issue pre-shipment inspection certificate themselves. 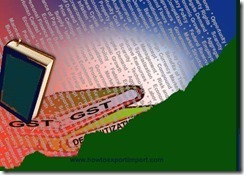 Now specified categories of exporters can avail self-certification scheme.